This course tackles the most sophisticated aspects of the Vivado® Design Suite and Xilinx hardware. This course enables you to use the advanced capabilities of the Vivado Design Suite to achieve design closure. Engineers who seek advanced training in using Xilinx tools to improve FPGA performance and utilization while also increasing productivity. UltraFast Design Methodology: Advance Techniques –Introduces the UltraFast™ design methodology guidelines covered in this course. Scripting in Vivado Design Suite Non-Project Mode – Write Tcl commands in the non-project batch flow for a design. 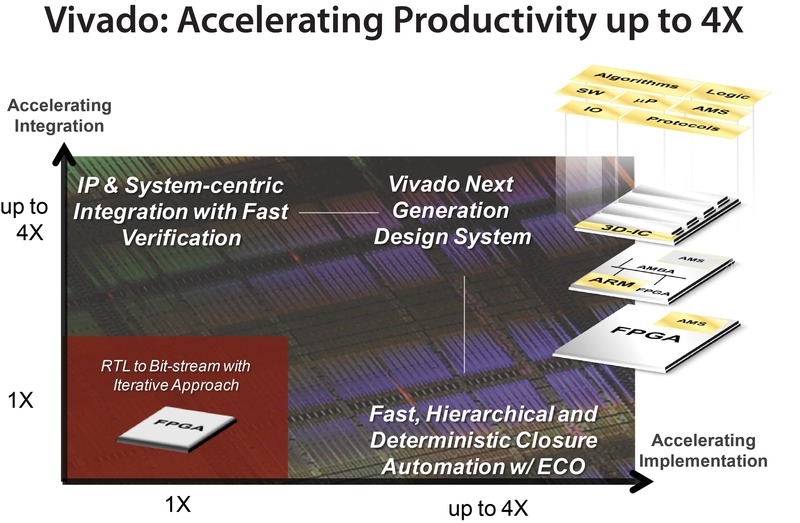 Hierarchical Design – Overview of the hierarchical design flows in the Vivado Design Suite. Managing Remote IP – Store IP and related files remote to the current working project directory. I/O Timing Scenarios –Overview of various I/O timing scenarios, such as source- and system-synchronous, direct/MMCM capture, and edge/center aligned data. Source-Synchronous I/O Timing – Apply I/O delay constraints and perform static timing analysis for a source- synchronous, double data rate (DDR) interface. System-Synchronous I/O Timing – Apply I/O delay constraints andperform static timing analysis for a system -synchronous inputinterface. Case Analysis – Understand how to analyze timing when usingmultiplexed clocks in a design. Design Analysis and Floorplanning–Explore the pre- and post- implementation design analysis features of the Vivado IDE. Incremental Compile Flow – Utilize the incremental compile flow whenmaking last – minute RTL changes. Vivado Design Suite ECO Flow – Use ECO flow to make changes to a previously implemented design and apply changes to the original design. Power Management Techniques – Identify techniques used for low power design. Daisy Chains and Gangs in Configuration –Introduces advanced configuration schemes for multiple FPGAs. Bitstream Security – Understand the Xilinx bitstream security features such as readback disable, bitstream encryption, and authentication. Vivado Design Suite Debug Methodology – Understand and follow the debug core recommendations. Employ the debug methodology for debugging a design using the Vivado logic analyzer. Trigger and Debug at Device Startup – Debug the events around the device startup.